Building good dental habits and a positive relationship with the dentist is crucial for the long-term health of your child’s smile. The American Academy of Pediatric Dentistry recommends scheduling your child’s first check-up as soon as their first tooth appears. At Dental Plus Clinic in Seguin, TX, Dr. Tejash Patel has created a comfortable, fun atmosphere for our young patients. With a playroom and a pediatric dentist on staff, we strive to ensure your child enjoys their visits to the dentist as much as possible. During your child’s appointment, we can give you advice on how to keep your child’s teeth clean and healthy between visits. Kids can also join our No Cavities Member Club and win a special reward after a good check-up. It is never too soon to begin teaching kids excellent oral health habits. Dental Plus Clinic has created a relaxed and happy atmosphere so your children can look forward to coming to see us. For many of our procedures, we can provide nitrous oxide sedation. Our pediatric dentist can administer deeper levels of sedation, if needed. You are welcome to come back into the examination room with your child and hold their hand during treatment, as well. Our playroom is specially designed to make your children feel comfortable with wall-mounted toys, books, and other fun games. Fluoride Treatments: Fluoride can strengthen enamel and prevent decay. We can apply a fluoride varnish to your child’s teeth to help avoid cavities. Dental Sealants: The back teeth, or molars, have rough surfaces that make them prone to collecting bacteria that eventually leads to decay. By placing plastic sealants onto these chewing surfaces, we can minimize the risk of decay. Fillings: If a cavity occurs, we can place a filling to replace decayed tissue and restore the strength and health of your child’s tooth. We can also teach your child good brushing and flossing habits. You can help protect your child’s teeth by limiting their consumption of sugary foods and monitoring their daily dental care routine to ensure they are using proper techniques. Why Choose Dental Plus Clinic? Our playroom is specially designed to make your children feel comfortable with wall-mounted toys, books, and other fun games. 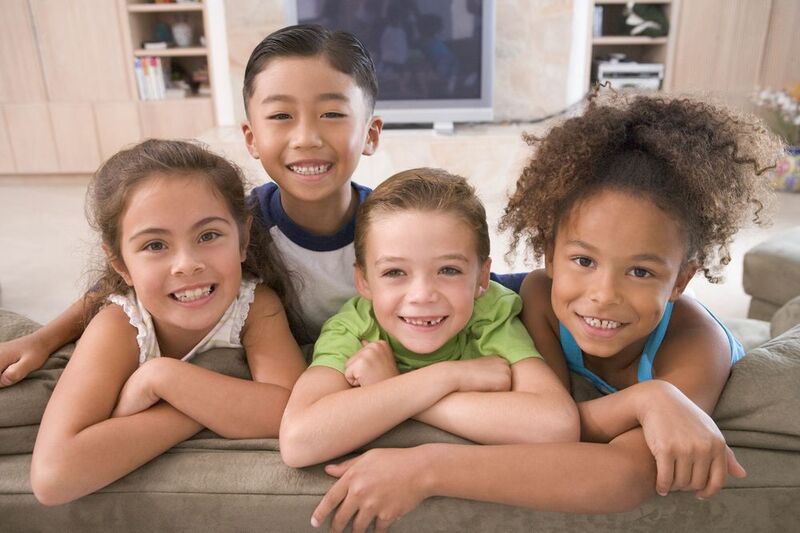 We encourage your kids to take good care of their teeth through our No Cavities Member Club. If your child has a good check-up, we award them a medal and a certificate. At Dental Plus Clinic, we love treating families. Our friendly staff offers a comprehensive range of dental services, including specialized care for children. For more information about our pediatric treatments or any of the other procedures we offer, contact our office online or call (361) 354-5888 to speak to a member of our team today.